The customer group consists of mid-sized, agile manufacturing and innovation sites in the regions of their specific markets. The group is represented by 7 strong brands with a individual product focus. The group´s aim is to leverage expertise and capabilities of its group companies in order to deliver maximum value for its customers. The common ground is the product family consists of different lighting products with the focal point on the development of efficient LED luminaries. 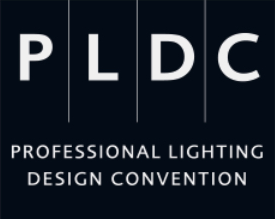 PLDC (Professional Lighting Design Convention) is a biannual convention that was created for the global lighting design market. The special glace is a focus on high graded locations, e.g. in London, Madrid, Rome or Paris. Lighting designers, architects, universities, industry and clients use PLDC as a platform to meet, learn about the latest developments in lighting design, and discuss the future of the lighting profession. Limpidoo was asked to differentiate the customer from the 70 represented manufacturers at PLDC. It was not mandatorily required to bring ’the one eye catcher’. Furthermore the challenge was to have a common content that presents the individual strengths of each individual brand of the customer group. The chosen product was a decent but big Stage L to present the diversity of the customer group. The result is amazing: 3x increased stopps at the booth with great discussions around the customer products.